Christopher LoPresto, formerly of Salamanca, NY, was born on 4 January 1964 and went on to be with his Lord and Savior Jesus Christ on 15 February 2017. He is the son of Emanuel (Janet) of Buffalo and Mary Conlan LoPresto (deceased). He is survived by brothers Emanuel Jr. of Buffalo, Michael of Atlanta, John (Melissa) of Charlotte, and Nicholas (Lauren) of San Antonio, beloved aunt, Gerri Barone, uncle John LoPresto (Maria), and nine nieces and nephews, Steven, Victoria (Peter), Micah, Jeremiah, Sarah, Hannah, Elizabeth, Julia, and Courtney. Chris was a 1982 graduate of Salamanca High School. He achieved many honors and accomplishments in academics and athletics. In 1982, he finished 4th overall in the NY State High School Wrestling Championship. He went on to Ithaca College, where he became an All-American wrestler and graduated with honors. Chris graduated from Downstate Medical College in Brooklyn, NY and became Dr. Christopher LoPresto. He went on to Duke University School of Medicine and the Medical University of South Carolina (MUSC), where he was trained in Ophthalmology. 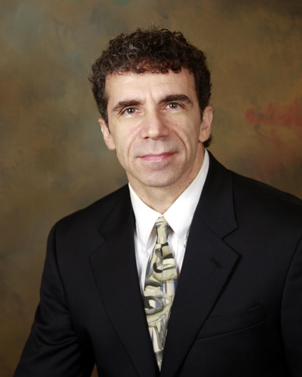 Chris resided and successfully practiced Ophthalmology in Tampa, FL for 12 years. Finally, as a Christian, Chris lived out his faith in all areas of his life. He was a great son, brother, uncle, nephew, cousin, and friend to many people. Local funeral arrangements are under the direction of the O’Rourke & O’Rourke Inc Funeral Home, 25 River Street, Salamanca, NY.